Not all heroes wear capes shoes. The pub will always have a unique place in Irish society and while foreigners might not fully understand it, we know that there's far more to it than just a few drinks. The pub is a place where you can relax, meet your friends, listen/play some music, have the craic, talk about everything and nothing, or in the case of this Kerry bar, mourn the loss of your dear friend in the best way possible. Simply put, it's very likely that you made some of the best memories with your friends over a few drinks in the local and this is definitely the case with Ruairi Brannigan. Ruairi is from Bysford, Co.Down and he's currently in Perth, Australia. 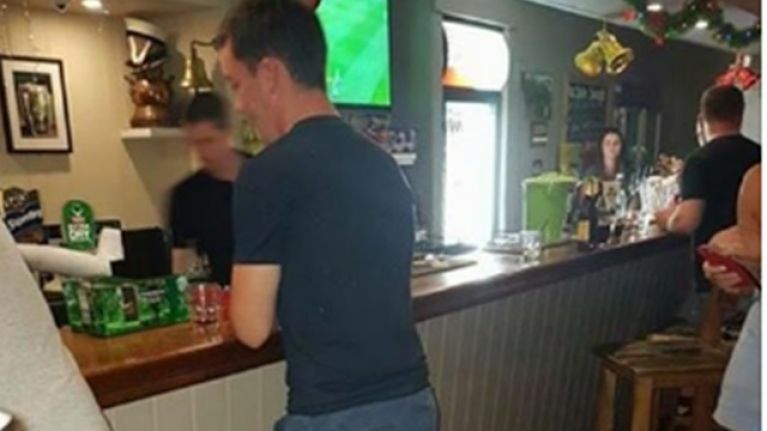 He recently went to extreme - and very fashionable lengths - to ensure that he wouldn't miss out on a few drinks in newfound local. 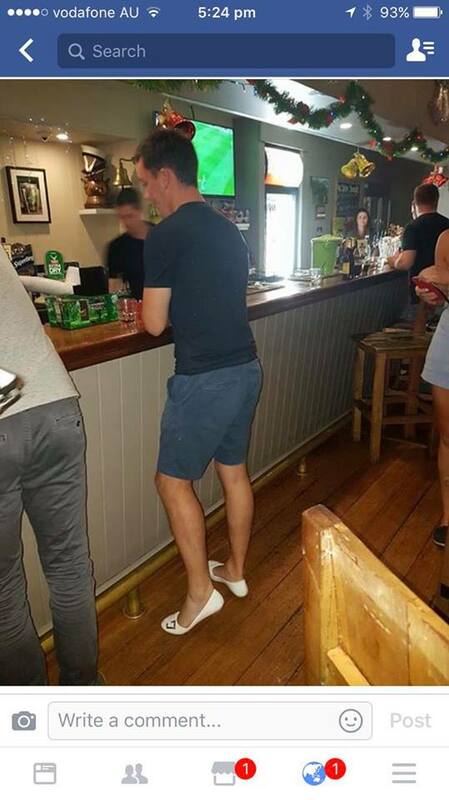 During a trip to An Sibin Irish Pub, the bouncers wouldn't let him in because he was wearing flip flops. Refusing to head back, he found the only shoe shop that was still open and purchased a new pair of shoes. 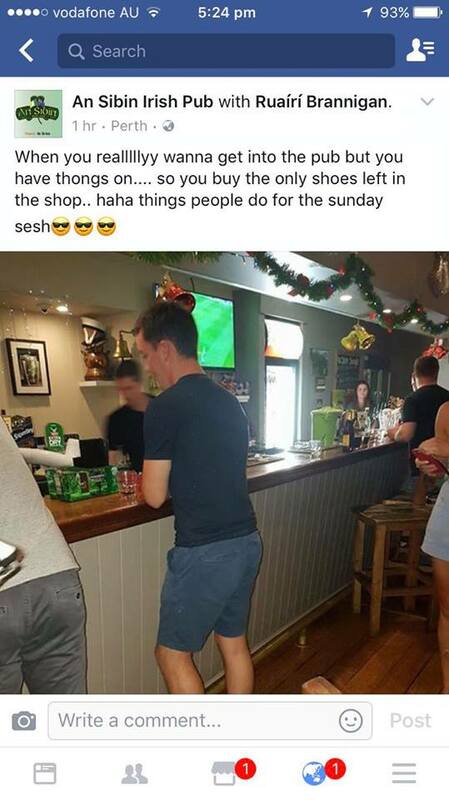 We wonder if he managed to carry all of those drinks back to his table without spilling them on his lovely new pair of ladies shoes! For those of you that are wondering, in Australian slang, 'thongs' means a flip flop. Fair play to Ruairi, some man.